Individuals, organizations, communities, and behavioral health providers can participate in the event using the 2018 materials developed by the American Cancer Society. ACS provides evidence-based tools and resources for smokers and non-smokers alike, to encourage and support tobacco cessation. 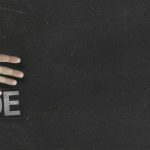 There are materials designed to help employers to support employees, and advice for friends and family members of individuals who want to quit. It is important for people to realize that they are not alone. While one million people in California quit smoking for the day for 1976 GASO, the goal of this year’s Smokeout is for people to take the first step towards a healthier future. For more information, Day 1 materials including flyers and quit cards, and cessation support, see the ACS GASO website. Smoking remains the largest preventable cause of death not only in the United States, but worldwide. Now viewed as a social justice issue, research has demonstrated that smoking related disparities result in disproportionate rates of disease and death among vulnerable populations including LGBTQ individuals, African Americans, the American Indian and Alaska Native populations, those with low socio-economic statues (SES) and less education, rural inhabitants, and individuals with mental illness and substance use disorders (CDC, 2018). For example, per the CDC, “although African Americans usually smoke fewer cigarettes and start smoking cigarettes at an older age, they are more likely to die from smoking-related diseases than Whites” (CDC). For more on tobacco related disparities. Nevada native, Spencer Flanders won the Campaign for Tobacco Free Kids (CTFK) youth advocate of the year for the western states in 2014, and then for the entire nation in 2015, after sharing his story of discovering that tobacco companies target students in special education. Spencer has a learning disability, but with a supportive family, he has succeeded in becoming a national speaker and will be a political science student at the University of Nevada, Reno in 2019. Spencer is particularly concerned for youth without a strong support system, who may be targeted by tobacco adverting. At the international level, the theme of this year’s World No Tobacco Day (WNTD), which took place on May 31, is that tobacco breaks hearts, highlighting to the association between tobacco use and cardiovascular disease. WNTD is part of the World Health Association (WHO)’s Tobacco Free Initiative. In 2005, an innovative global public health treaty, the WHO Framework Convention on Tobacco Control (FCTC) was approved with 168 signatories, representing 40 states of the United Nations. The FCTC was created in recognition of the fact that tobacco use continues to pose a serious threat to global health. 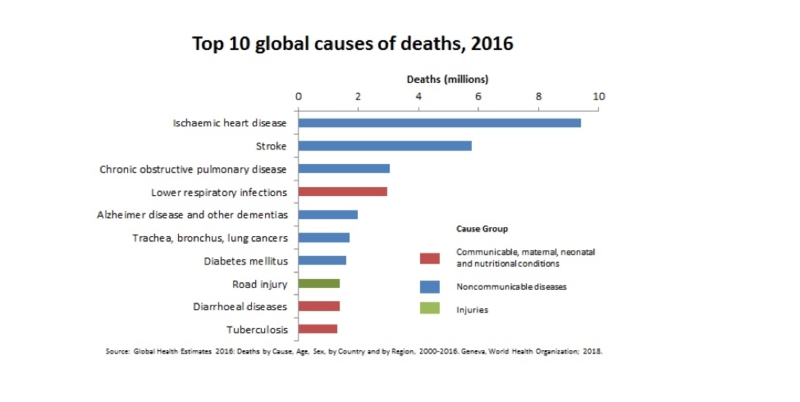 The most recent data available show that tobacco is a risk factor for five of the six leading causes of death worldwide (ischemic heart disease, stroke, chronic obstructive pulmonary disease (COPD), lower respiratory infections, and lung cancer). Globally, many people associate tobacco use with cancer and lung disease but remain unaware of tobacco’s association with heart disease and stroke. Encourage countries to strengthen implementation of the proven MPOWER* tobacco control measures contained in the WHO Framework Convention on Tobacco Control. *MPOWER measures are evidence-based tobacco prevention and control measures designed to support country-level implementation of the FCTC to reduce the demand for tobacco products. Tobacco use has declined significantly in the United States and other developed countries since the 1964 release of the Surgeon General’s landmark Report on Smoking and Health (Holford et al., 2014; Komaroff, 2014). At the time of publication, adult smoking prevalence in the United States was at 42%. The initial Surgeon General Report (SGR) was followed by two additional reports related to tobacco and health: Preventing Tobacco Use among Youth and Young Adults: A Report of the Surgeon General, 2012 and The Health Consequences of Smoking—50 Years of Progress: A Report of the Surgeon General, 2014. As a result, tobacco-related diseases and disparities are among the most well researched health topics that exist. The evidence base also expands to prevention and interventions. We know what works in tobacco prevention and control and effective strategies cost relatively little to implement. In the 1990s, armed with decades of evidence, multiple attorneys general successfully sued the four largest tobacco companies (at that time) to address the costs incurred by states for smoking related illnesses. The resulting settlement between the four companies and 46 states and 6 territories is the largest civil litigation in U.S. History. The Tobacco Master Settlement Agreement (MSA) was established in 1998 and included the following stipulations. Annual payments to states in perpetuity as compensation for state expenditure from smoking related illnesses – a minimum of $206 billion over the first 25 years of the agreement. Unfortunately, tobacco advertising presents an enormous challenge to tobacco prevention efforts. The tobacco industry remains profitable despite the master settlement agreement. In the United States alone, the tobacco industry spends nearly $9 billion a year in marketing, which equates to $12 in tobacco marketing for every $1 spent on tobacco prevention (CTFK, 2018). In Nevada the ratio is even higher at $93 to $1. Research has shown that tobacco marketing is extremely effective, and tobacco use remains the number one cause of preventable death in the United States. The use of combustible tobacco is on the rise in developing countries where tobacco advertising remains unrestricted. In March, the CTFK launched a new international campaign, “Big Tobacco, Tiny Targets,” in an effort to prevent the targeting of youth in low and middle income countries detailed in an investigative report by The Guardian. The report exposed the aggressive and targeted marketing of cigarettes and tobacco products near schools and playgrounds by Philip Morris, British American Tobacco, Japan Tobacco and Imperial Tobacco. Nevada has also seen a decline in the use of combustible tobacco products, but tobacco use still comes at a cost to all Nevadans. The most recent edition of CTFK’s Broken Promises Report reveals that smoking in Nevada accounts for $1.09 billion in lost productivity and poses a state and federal tax burden to Nevada residents of $711 per household in government expenditures related to smoking. In our state, smoking accounts for $1.08 billion in annual heath care costs and $148.9 million in Medicaid costs. Nevada’s current smoking rates are 7.5 % of high school students and 16.5 % of adults. (See figures 2 and 3.) 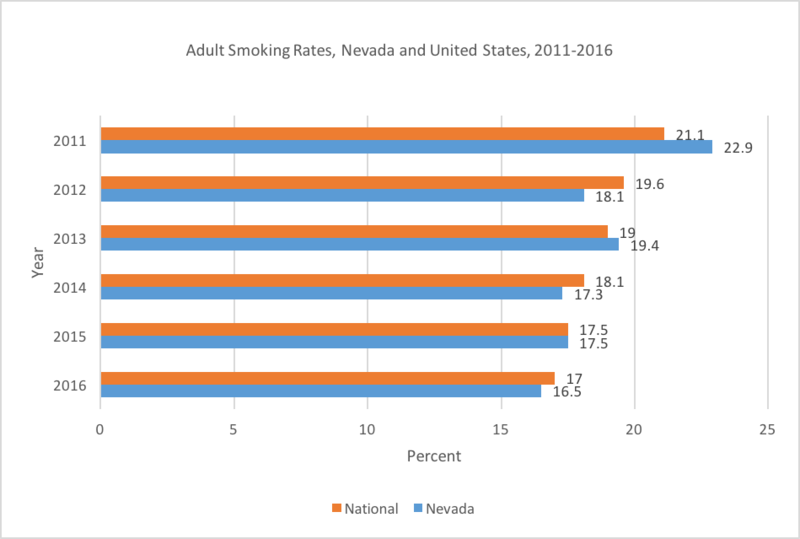 Despite a reduction in overall smoking prevalence, in Nevada, 30.9% of cancer deaths are attributable to tobacco use, and approximately 4,100 deaths are caused by smoking each year. Source: Centers for Disease Control and Prevention (CDC), Behavioral Risk Factor Surveillance System (BRFSS), 2018. Note: Data prior to 2011 is not directly comparable to previous years of BRFSS data because of the changes in weighting methodology and the addition of the cell phone sampling frame. The BRFSS 2011 data should be considered a baseline year for data, as it reflects combined landline and cell phone data and changes in weighting methodology. Source: Centers for Disease Control and Prevention (CDC), Youth Risk Behavior Surveillance System (YRBSS), 2018. While use of combustible tobacco products has declined in the states in recent years, the use of electric nicotine delivery systems (ENDS) or e-cigarettes and similar devices designed for vaping has increased. Containing less carcinogens than combustible tobacco products, these devices are considered harm reduction devices and were initially marketed as cessation aids. However, they are not FDA approved as cessation devices. A growing amount of research demonstrates a gateway effect to both traditional combustible cigarettes and marijuana use (Watkins, Glantz, & Chaffee, 2018; Dai, Cately, Richter, Goggin, & Ellerbeck, 2018; Morgenstern, Nies, Goecke, & Hanewinkel, 2018; East et al., 2017). The use of ENDS as a harm reduction device divides the tobacco prevention field. 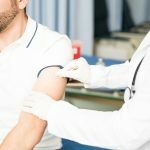 While the majority of studies associate the use of e-cigarettes or vaping with an increase in both initiation of, and continued use of traditional cigarettes, there seems to be an exception in the case of heavy e-cigarette users for whom ENDS use has been positively associated with cessation (Berry et al., 2016; Zhuang, Cummins, Sun, & Zhu, 2016). The most recent data available for Nevada reveals that 42.6% of Nevada high school students have ever used electronic vapor products, including e-cigarettes, e-cigars, e-pipes, vape pipes, vaping pens, e-hookahs, and hookah pens (Nevada YRBS, 2017). Fifteen percent of Nevada high school students reported that they currently use electronic vapor products, (Nevada YRBS, 2017). Of Nevada middle school students surveyed, 18.6% have used electronic vapor products and 6.7% reported using them within the past thirty days (Nevada YRBS 2017). 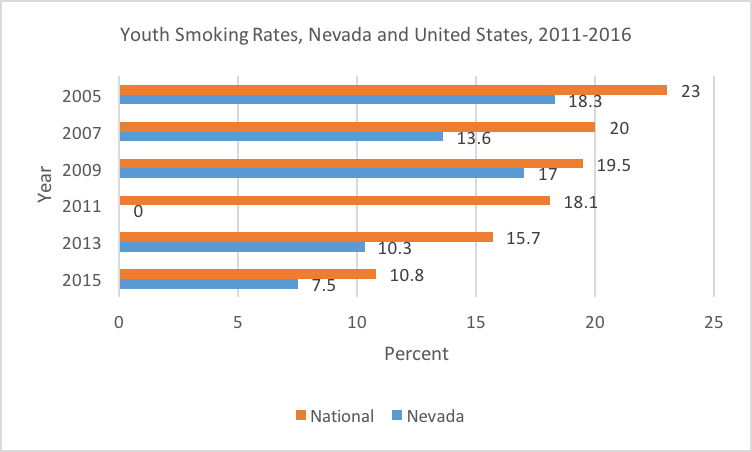 ENDS use among Nevada youth currently exceeds the traditional smoking rates. Help a smoker you love quit using some important Do’s and Don’ts developed for friends and family. Advocate for the Great American Smokeout by using resources developed for workplaces, health systems, and other places in your community. Get involved by volunteering, donating or fundraising. Check out additional Tobacco-related resources on the Resources and Downloads section of OnDemand. Atkins, L. Glantz, S.A., Chaffee, B.W. (2018). Association of noncigarette tobacco product use with future cigarette smoking among youth in the population assessment of tobacco and health (PATH)study, 2013-2015. JAMA Pediatrics, the Science of Child and Adolescent Health. 172 (2) 181-187. East, K., Hitchman, S., Bakolis, I., Williams, S., Cheeseman, H., Arnott, D., & McNeil, A. (2018) The association between smoking and electronic cigarette use in a cohort of young people. Journal of Adolescent Health, 62, 539-547. Holford, T., Meza, R., Warner, K, Meernick, C, Jiyoun, J., Suresh, H., … Levy, D. (2014). Tobacco control and the reduction in smoking-related premature death in the United States, 1965-2012. Journal of the American Medical Association, 311(2) 164-171. Hongying, D., Catley, D., Richter, K., Goggin, K. & Ellerbeck, E.F. (2018). Electronic cigarettes and future marijuana use: A longitudinal study. Journal of the Academy of Pediatrics. 141. Komaroff, A. (2014). Surgeon General’s 1964 report: making smoking history. Harvard Health Blog. Morgenstern, M., Nies, A., Goecke, M. & Hanewinkel, R. (2018) E-cigarettes and the use of conventional cigarettes – a cohort study in 10th grades students in Germany. Deutsch Artztebl Int (1150) 243-8. Zhuang, Y., Cummins, S., Sun, J, & Zhu, S. (2016). Long-term e-cigarette use and smoking cessation: a longitudinal study with US population. Tobacco Control, 25 (1), 190-195.